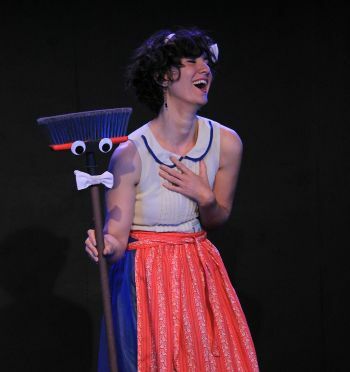 Pam Severns is a Los Angeles-based puppeteer and comedian for stage and screen. She was a producer for PBS on In Their Own Words, a documentary on the life and work of Jim Henson and has worked as a puppeteer on shows with IFC, MTV, Amazon and other jumblings of letters. She performs frequently in LA and beyond at locales that have included Brookledge Follies, LA’s Largo at the Coronet, the Jim Henson Company, The Second City, and the San Francisco Comedy Festival. She is the recipient of a 2019 Jim Henson Foundation grant for her live work and recently completed a film that was made possible with a generous grant from Heather Henson, daughter of Jim Henson.